A new space crew scheduled to go to the International Space Station (ISS) in mid-March will hold about 50 experiments in orbit, basic crew commander Alexei Ovchinin said in Friday. "A large number of experiments, about 50, are planned during our expedition," the cosmonaut said. The experiments will involve research in medicine, biology and biotechnology, video footage of life on the ISS, and also "experiments for educational purposes," Ovchinin said. "We’ll perform a quick shift, the so-called movement of fluid in the body. 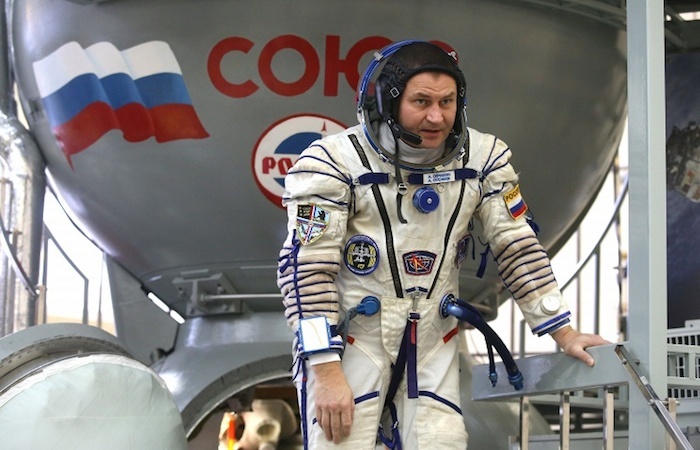 We’ll be doing blood sampling and ultrasound scanning of various organs," the cosmonaut said. These experiments will be held at the start and the end of the expedition to enable doctors to compare the body’s parameters during the flight to the orbit, he added. 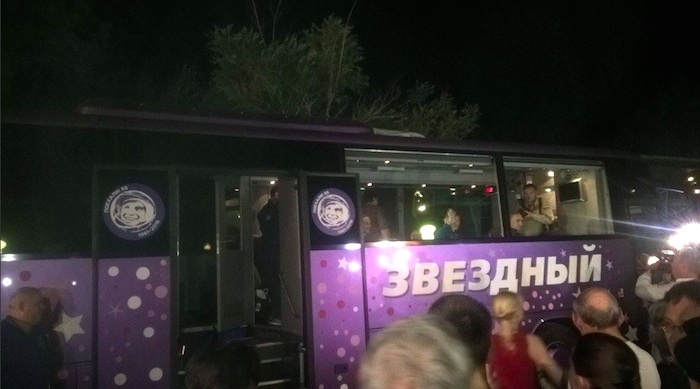 According to Alexei Ovchinin, the crew will take photos and letters of relatives and the Bible for the flight. ‘I’ll take photos of nears and dears and I have also requested my family to write me letters, which I’ll open already there, at the station… I believe this will support me during the flight," he said. In turn, ISS board engineer Oleg Skripochka said he had decided to take a pair of photos of his family together with him to the world’s sole orbiter. "I believe this time we’ll confine ourselves to a pair of photos of the trips with the family. Of course, when you are in outer space and miss your family, this helps a lot," the cosmonaut said. Second board engineer, NASA astronaut Jeffrey Williams said he would take belongings of this family and photos of his relatives, as well as the Bible to the International Space Station. The expedition 47/48 to the world’s sole orbiter aboard the Soyuz TMA-20M spacecraft is scheduled to start on March 19. The new expedition’s basic crew comprises Russian cosmonauts Alexei Ovchinin and Oleg Skripochka and also US astronaut Jeffrey Williams Their back-up members are Sergei Ryzhikov and Andrei Borisenko from Russia, and also Robert Kimbrough from the United States. The flight will be the first for Ovchinin in his career and the second for Skripochka while Williams will perform already his fourth flight. Comprehensive examination training for the main and back-up crews of the next expedition to the International Space Station (ISS) has started at the Cosmonaut Training Center outside Moscow, the center’s spokesman said on Wednesday. "On February 24, the main crew is working on the simulator of the Russian segment of the ISS while the back-up crew is working on the simulator of the Soyuz TMA-M manned transport spacecraft. On February 25, the crews will change places," the center’s spokesman said. 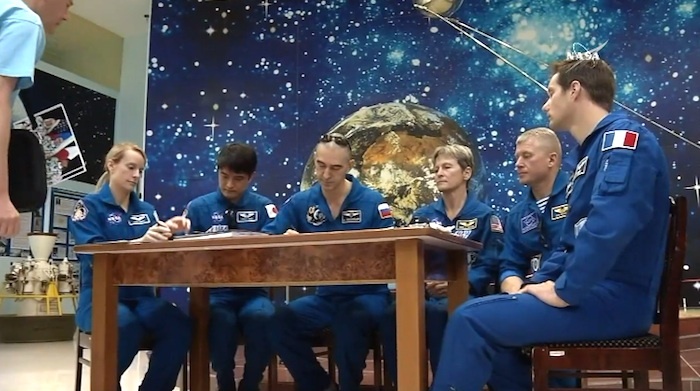 During the examinations, the cosmonauts will have to manage a number of emergency situations. As Deputy Head of the Cosmonaut Training Center Valery Korzun said, examination papers include situations that are most frequently encountered in flight and pose the most serious danger for crews. According to him, no situation emerged during the exams when the crew notionally died. At the same time, "this sometimes happens" during working training sessions, he added. The new expedition’s basic crew comprises Russian cosmonauts Alexey Ovchinin and Oleg Skripochka and also American astronaut Jeffrey Williams Their back-up members are Sergei Ryzhikov and Andrei Borisenko from Russia, and also Robert Kimbrough from the United States. The flight will be the first for Ovchinin in his career and the second for Skripochka while Williams will perform already his fourth flight. 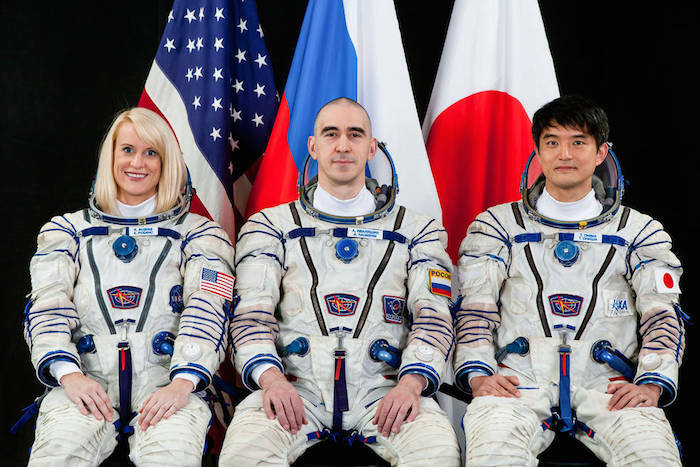 Portrait of Expedition 48/49 crew members astronaut Kate Rubins, cosmonaut Anatoly Ivanishin (Expedition 49 Commander) and Japan Aerospace Exploration Agency astronaut Takuya Onishi. The trio are also the backup Expedition 46/47 crew members. All are wearing Russian Sokol launch and entry suits with the flags of the United States, Russia and Japan visible in the background. Expedition 47 crew members NASA astronaut Jeff Williams, and cosmonauts Oleg Skripochka and Alexei Ovchinin of the Russian space agency Roscosmos pose for a photograph before their Soyuz qualification exams Wednesday, Feb. 24, 2016, at the Gagarin Cosmonaut Training Center in Star City, Russia. On a second American record-breaking mission for 2016, NASA astronaut Jeff Williams is scheduled to launch to the International Space Station at 5:26 p.m. EDT Friday, March 18, with cosmonauts Alexey Ovchinin and Oleg Skripochka of the Russian space agency Roscosmos from the Baikonur Cosmodrome in Kazakhstan. 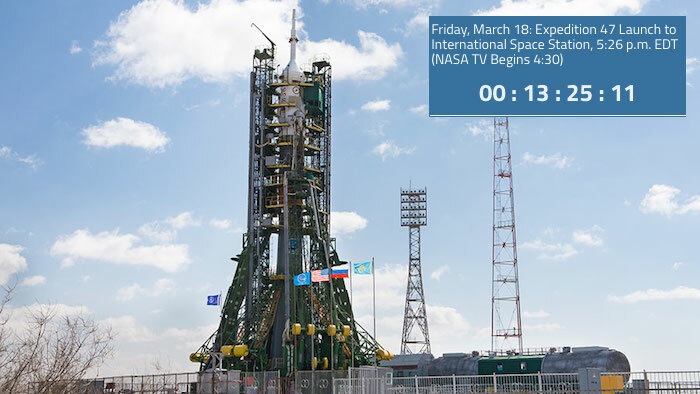 NASA Television launch coverage will begin at 4:30 p.m.
During his six-month mission, Williams will become the new American record holder for cumulative days in space -- 534 -- surpassing Expedition 46 Commander Scott Kelly, who wrapped up his one-year mission on March 1. Williams will take command of the station on June 4 for Expedition 48. This will be his third space station expedition -- another record. The three will travel in a Soyuz spacecraft, rendezvousing with the space station six hours after launch. They’ll dock to the station’s Poisk module at 11:12 p.m. NASA TV coverage of docking will begin at 10:30 p.m. The hatches between the Soyuz and station will be opened less than two hours later at about 12:55 a.m. Saturday, March 19, when the newly arrived crew members will be greeted by Expedition 47 Commander Tim Kopra of NASA and Flight Engineers Yuri Malenchenko of Roscosmos and Tim Peake of ESA (European Space Agency). NASA TV coverage of the hatch opening will begin at 12:30 a.m. Together, the Expedition 47 crew members will continue the several hundred experiments in biology, biotechnology, physical science and Earth science currently underway and scheduled to take place aboard humanity’s only orbiting laboratory. Williams, Ovchinin and Skripochka are scheduled to spend six months on the station, returning to Earth in early September 2016. Expedition 47 crew members (from left) Oleg Skripochka, Jeff Williams, Alexey Ovchinin, Tim Peake, Tim Kopra and Yuri Malenchenko. 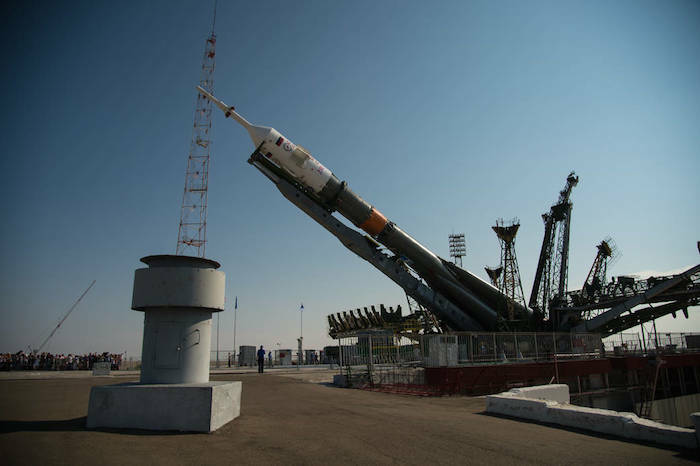 The Roscosmos State Corporation has no plans to postpone the launch of the Soyuz-FG carrier rocket with the Soyuz manned spacecraft because of unfavorable weather conditions at Baikonur cosmodrome located in Kazakhstan, the corporation has said. "The postponement of the launch scheduled for March 19, 2016, is not considered so far," says a statement obtained by TASS on Wednesday. The installation of the Soyuz-FG carrier rocket at the cosmodrome’s launch site was earlier postponed because of strong wind. "The time of this operation will be determined at a meeting of the technical management to be held at 14.00 Moscow Time, taking into account the actual situation and the meteorological situation in the launch site area," the state corporation said. According to Kazakhstan’s Hydrometeorological Service, the unfavorable weather conditions will persist for at least three days, with wind gusts reaching speeds of up to 28 meters per second. The Soyuz TMA-20M manned spacecraft is to bring the International Space Station (ISS) a new crew, which comprises Russian cosmonauts Alexey Ovchinin and Oleg Skripochka and NASA astronaut Jeffrey Williams. The backup crew includes Russians Sergey Ryzhikov and Andrey Borisenko and US astronaut Robert Kimbrough. 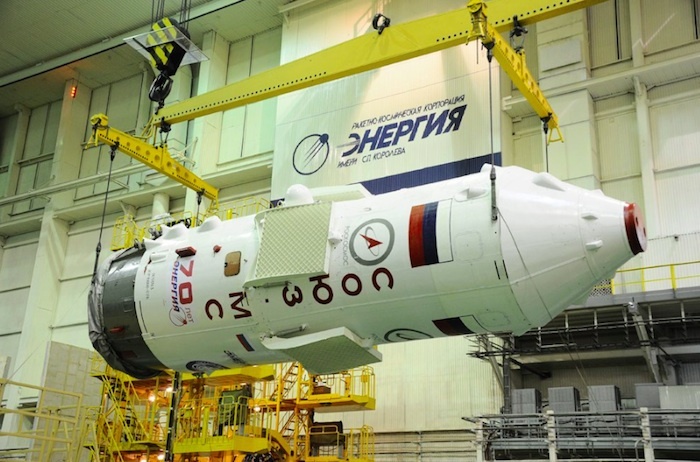 The manned spacecraft is to be launched from Baikonur Cosmodrome on March 19 at 00.26 Moscow Time. The docking with the ISS should take place about six hours after the launch - at 06.12 Moscow Time. 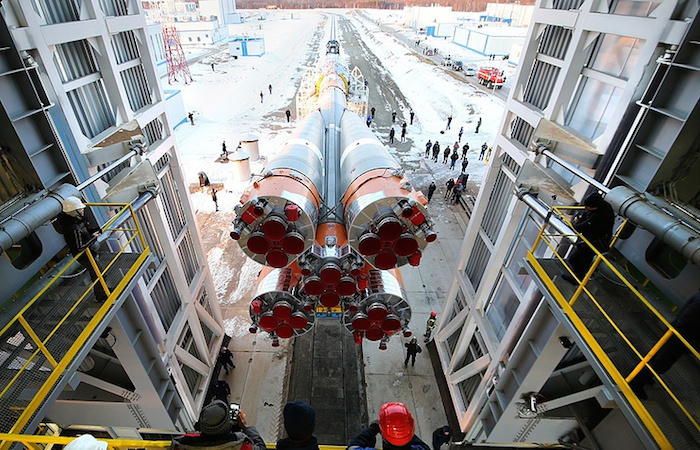 After this launch, senior officials of the Russian space industry are planning to travel to the country’s new Vostochny spaceport in Russia’s Far East where the Soyuz-2 carrier rocket is to be brought to the launch pad. This event will mark the end of test operations and the beginning of preparations for the first launch from Vostochny due to be held in April. 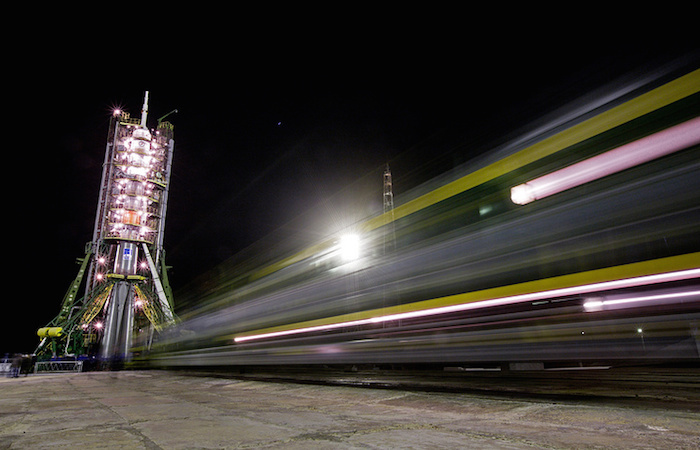 The gantry arms close around the Soyuz TMA-20M spacecraft to secure the rocket, as seen in this long exposure taken on Wednesday, March 16, 2016 at launch pad 1 at the Baikonur Cosmodrome in Kazakhstan. Launch of the Soyuz rocket is scheduled for March 18 (March 19 Kazakh time) and will carry Expedition 47 Soyuz Commander Alexey Ovchinin of Roscosmos, Flight Engineer Jeff Williams of NASA, and Flight Engineer Oleg Skripochka of Roscosmos into orbit to begin their five and a half month mission on the International Space Station. Flash forward to 2009: Rubins is running a lab at the Whitehead Institute for Biomedical Research in Cambridge, Mass., focusing on virus-host interactions and viral genomics. A friend points out a NASA ad seeking astronaut candidates, and Rubins’ long-dormant obsession awakens. Since then, she has learned how to fly a T-38 jet, speak Russian to communicate with her cosmo-naut crewmates, conduct a spacewalk, operate the robotic arm on the ISS and even fix the habitable satellite’s toilet. Joining NASA meant leaving her 14-person lab behind. But Rubins gained the rare opportunity to collaborate with dozens of scientists in fields as diverse as cell biology and astrophysics. On the space station, she’ll be “their hands, eyes and ears,” conducting about 100 experiments over five months. She will, for instance, probe how heart cells behave when gravity doesn’t get in the way. And she’ll test a hand-held DNA sequencer, which reads out the genetic information stored in DNA and will be important to future missions looking for signatures of life on Mars. 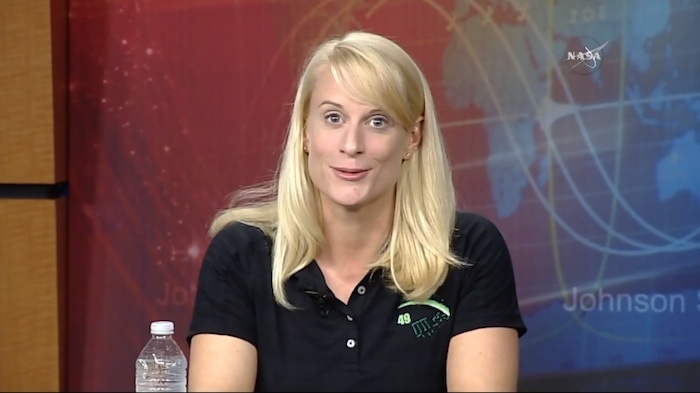 Kate Rubins was accepted into the astronaut program in 2009. At times, Rubins will be both experimenter and subject. In one study, she will observe bone cells in a lab dish, comparing their behavior with what happens in a simulated gravity-free environment on the ground. Because astronauts in space are vulnerable to rapid bone loss, CT scanning before and after the mission will also document changes in Rubins’ own hip bone. Rubins is particularly eager to examine how liquid behaves in microgravity on a molecular scale. In 2013, Canadian astronaut Chris Hadfield created an Internet sensation when he demonstrated that wringing out a wet washcloth in space caused water to form a bubble that enveloped the cloth and his hands. “It’s incredibly bizarre,” Rubins says. Understanding how fluids move in test tubes in space will help NASA plan for Mars exploration, among other applications. Before any of the research can begin, Rubins has to get off the ground. As treacherous as accelerating to 17,500 miles per hour may sound, she’s not worried. START CITY (Moscow region), May 31. The Interdepartmental Commission at a meeting in Star City outside Moscow has approved the marks received at a comprehensive exam training by the crews of a new long-term expedition to the International Space Station (ISS) and confirmed their readiness for flight, the Cosmonaut Training Center (CTC) reported on Tuesday. "The commission approved the main crew of the Soyuz MS spaceship comprising Roscosmos (Russian State Space Corporation) cosmonaut Anatoly Ivanishin, NASA astronaut Kathleen Rubins and the Japanese space agency JAXA astronaut Takuya Onishi for further spaceflight training," the center said. The Soyuz MS is the first ship of a new series. Previously, all crews were launched to the orbiting station on the Soyuz TMA-M series spacecraft. The Commission also confirmed readiness for spaceflight of the backup crew - Roscosmos cosmonaut Oleg Novitsky, American astronaut Peggy Whitson and the European Space Agency astronaut, Frenchman Thomas Pesquet. 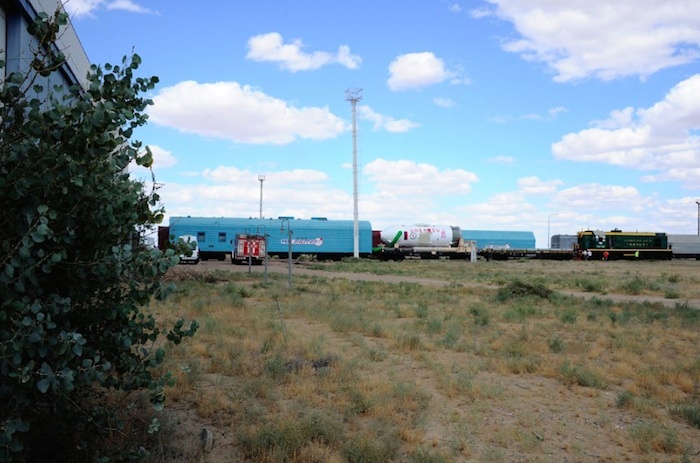 The final membership of the expedition crews will be approved by the state commission at the Baikonur cosmodrome several days before the launch, which is scheduled for June 24. The next crew for the International Space Station will be lifted on Soyuz MS by the Soyuz-FG carrier rocket from Gagarin’s Start in Baikonur cosmodrome. 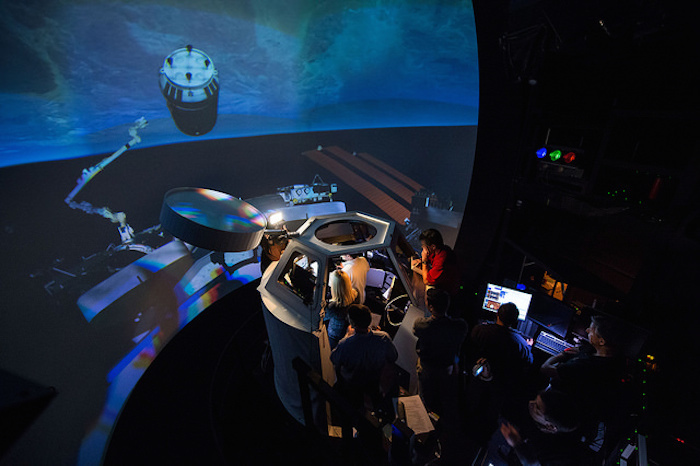 During the two-day examination session, the crews coped with all contingency situations, working on replicas of the Russian segment of the ISS and the Soyuz MS spaceship. According to the conclusion of the main medical commission, the main and backup were recognized fit for spaceflight. This flight will be the second for Ivanishin, and Rubins and Onishi have not flown into space yet. As for the backup crew - Novitsky has performed one flight to the ISS in his career, Whitson - two flights, and only Pesquet has never flown into space. 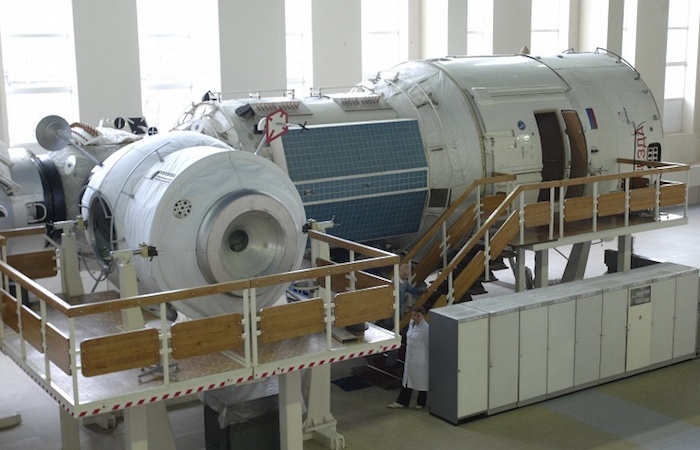 Soyuz MS (along with Progress MS) is most recent version of Russian workhorse spacecraft. Soyuz in MS version obtained new improved solar arrays and new docking systems (including KURS docking navigation system). New digital computer (instead analog Argon-16) TsVM-101 is lighter and smaller, MBITS telemetry transferring system is increasing safety during docking if ground stations are out of range. GLONASS/GPS/COSPAS-SARSAT navigation provides more accurate data for recovering after landing. Soyuz-FG is upgraded version of Soyuz-ST with more efficient engines, changed propellant composition and improved avionics. The government commission of the state-run corporation Roscosmos may make a final decision regarding the date of launching the manned spacecraft Soyuz MS to the International Space Station on Monday, June 6, a source in the space rocket industry has told TASS. "The specialists of the spacecraft’s manufacturer - corporation Energia - have three days to do away with the problems that postponed the launch originally scheduled for June 24," the source said. The government commission will meet in session on June 6 to decide when to go ahead with the launch of the Soyuz spacecraft. If the glitch is eliminated within days, the launch will be carried out on June 24, as it was originally expected. Another source in the industry told TASS that a decision has in fact already been made and the government commission is expected to merely authorize it. The launch may take place at 04:35 on July 7 Moscow time, while the Soyuz TMA-19M spacecraft, currently docked to the ISS, will return to the Earth on July 2. TASS has no official confirmation of this. Earlier, a source in the industry told TASS that specialists had advised to move the launch of the Soyuz MS vehicle from June 24 to July 7 due to likely disruptions in the control system that might cause problems while docking the new series spacecraft to the ISS. If the launch of the Soyuz is postponed, the cargo spacecraft Progress MS, due to blast off on July 7 will have to be put in space later, on July 17. On Wednesday, the Roscosmos corporation denied all rumors the beginning of the Soyuz MS mission might be delayed. Russia's official TASS news agency, which yesterday reported that the next crew launch to the International Space Station (ISS) would be delayed, took half a step back from that report today. 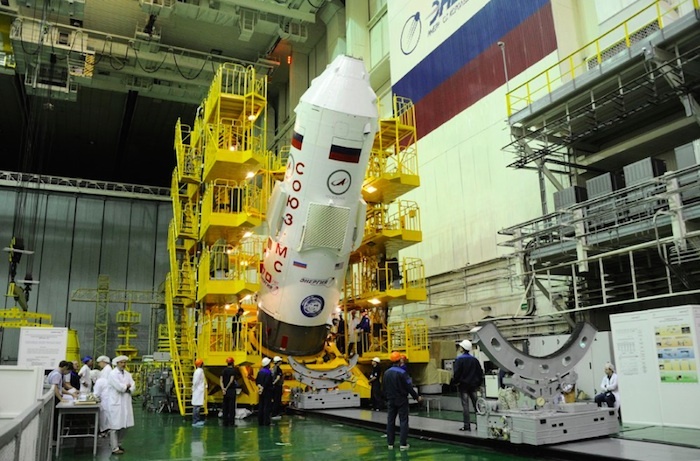 Now it says if the problem with the Soyuz MS docking system can be fixed quickly, the launch could still occur on June 24 as originally planned. If it takes longer, then the launch would be delayed to July 7. The next crew launch is the first for the Soyuz MS variant of the venerable spacecraft, first launched in 1967. 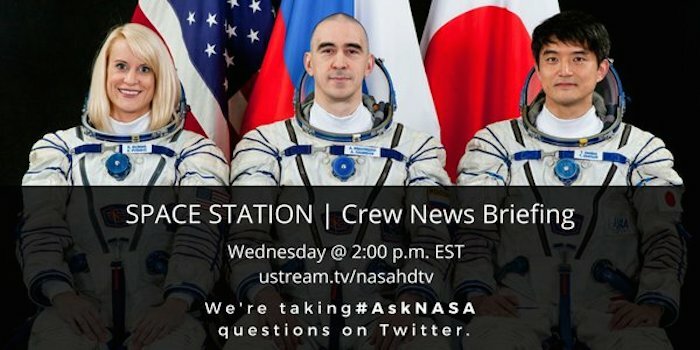 Three astronauts -- from NASA, JAXA and Roscosmos -- will be aboard. None of the space agencies has publicly announced a schedule change and today's TASS story states that Roscomos "denied all rumors" that the mission has been delayed. A decision will be made on Monday (June 6), according to the new TASS report. The news agency cites unnamed industry sources for both versions -- that there will be a delay or that there might be a delay. 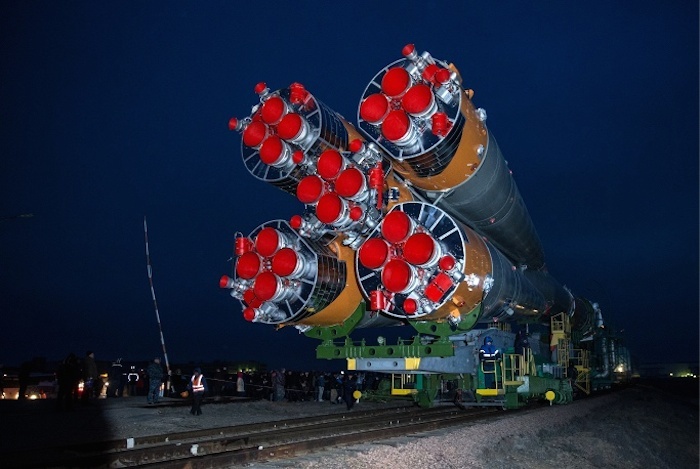 One of its sources says that Energia, which builds Soyuz, has three days to solve the problem and if it can be fixed that quickly, the launch will take place as planned. Another source, however, says the decision to delay already has been made and Monday's meeting is simply to finalize it. The precise nature of the problem has not been specified in the TASS reports. The three crew members waiting for their ride to ISS are NASA's Kathleen (Kate) Rubins, JAXA's Takuya Onishi, and Roscosmos' Anatoly Ivanishin. Russia’s government commission has made a decision to postpone the launch of the manned Soyuz MS spacecraft to the International Space Station from June 24 till July 7, the state-run space corporation Roscosmos has said. "For enhancing the safety of the newly modified spacecraft Soyuz MS’s flight to the ISS it has been decided to carry out more tests of software. 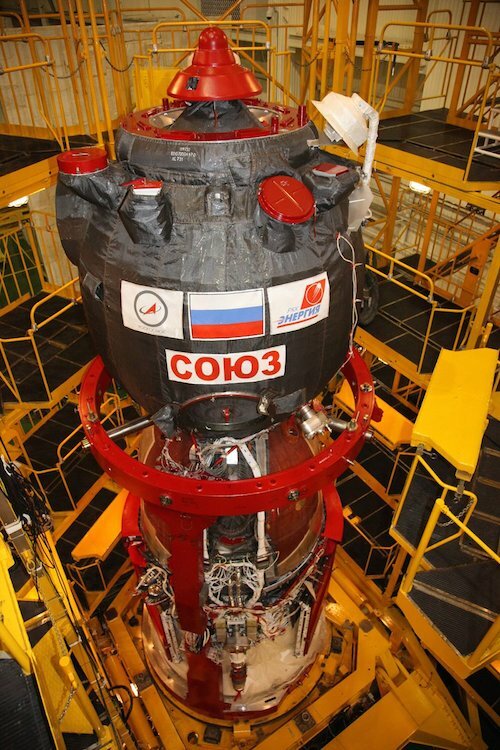 The state commission has made a decision to launch the Soyuz FG rocket carrying the Soyuz-MS spacecraft till 04:36 Moscow time on July 7, 2016," the Roscosomos press-service has said. The launch of another cargo spacecraft, Progress MS, has been delayed, too. Originally it was due on July 7. Now it has been scheduled for July 17. Earlier, a source in the space rocket industry told TASS there was a possibility the launch of Soyuz MS may have to be postponed. He explained that specialists advised against hurrying with the launch as there was the risk of a glitch in the control system and problems while docking the new series spacecraft to the ISS. The Soyuz MS is to deliver to the ISS Russia’s Anatoly Ivanishin, NASA’s Kathleen Rubins and Japan’s Takuya Onishi. The State Commission has decided not to put off the return of a Soyuz-TMA-19M spaceship with 3 ISS crew members onboard to Earth from June 18 to a later date, Roscosmos said. 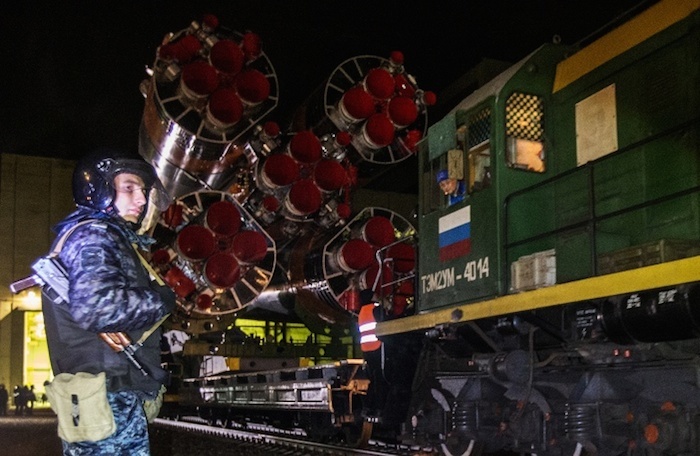 "Soyuz TMA-19M is to land at 12:12 Moscow time on June 18, 2016," the press service said. A number of media outlets reported earlier that the ISS crew could be asked to extend their stay at the station because of a possible delay of the launch of a new manned spaceship Soyuz-MS. But a source in the Russian rocket and space industry told TASS that experts had recommended not to postpone the ISS crew’s return. Soyuz TMA-19M will take Russian Yuri Malenchenko, American Timothy Copra and Briton Timothy Peak back to Earth. 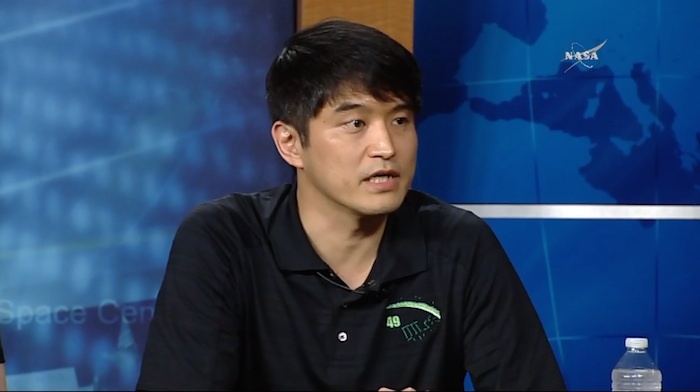 Mr. Masaharu Takata, a specialist and an integrator of JEM Small Satellite Orbital Deployer (J-SSOD) who works with satellite engineers and users of the satellite deployment from Kibo, joined the Kibo-ABC regular monthly web conference on May 19th to give a presentation about the J-SSOD utilization. Mr. Takata started to work for Kibo from early phase of its development and led the development of the J-SSOD hardware. After achievement of the first deployment of J-SSOD, he began to work as an integrator of J-SSOD users. With his wealth of knowledge and experiences about J-SSOD, he gave an overview of J-SSOD, specifications, past and future satellite missions with wonderful photos. In his presentation, he also noted about roles and responsibilities of users and preparation schedule template of J-SSOD. All the Kibo-ABC members had a great time and were motivated to utilize J-SSOD for their satellites deployment. Roles and responsibilities between JAXA and customers are shown in the presentation chart of today's meeting. A. Yes, J-SSOD can. For now, 3 to 6 cubesats (1U) can be deployed simultaneously. JAXA is investigating an advanced type of J-SSOD which can deploy 18 cubesats. A. It is customer's (satellite developer's) responsibility. Not JAXA. A. No development plan for 6U cubesat has been defined, but JAXA is going to discuss it because 6U size cubesat is becoming mainstream. A. Asian/Pacific universities can utilize the J-SSOD if they have a partnership with Japanese university, and the Japanese university contract with JAXA. JAXA will be able to provide required information of the J-SSOD utilization for the Kibo-ABC members if you have an idea. A. Small satellites are kept in stowage locker in ISS cabin until deployment. Since ISS cabin is pressurized and at room temperature, the stowage environment does not affect satellites. For batteries, we can make a regulation of the stowage duration to prevent running out of batteries. A. 100 - 250 days life is for 1U to 3U cubesat. Life time of 50kg class satellites is 1 - 2 years. Since altitude of deployed satellites should be lower than ISS (to prevent collision with ISS), it is hard to inject higher orbit to extend life time. A. No, J-SSOD can deploy only lower altitude for now due to safety reasons. A. Electrical propulsion is acceptable, but chemical propulsion is very difficult due to toxic issue. 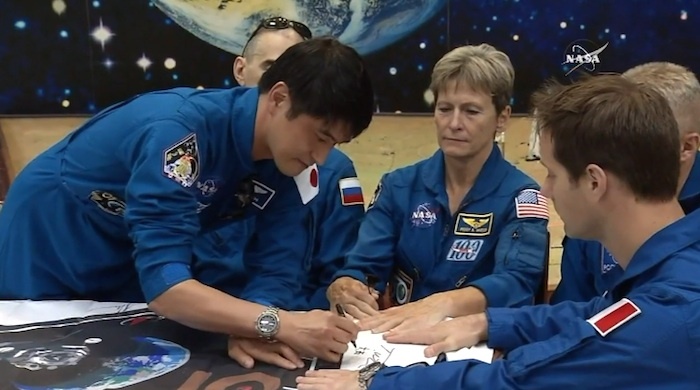 International Space Station Expedition 48/49 astronaut Kate Rubins of NASA, Russian cosmonaut Anatoly Ivanishin and Japan Aerospace Exploration Agency (JAXA) astronaut Takuya Onishi. The next three crew members bound for the International Space Station are set to launch Wednesday, July 6. Live launch coverage will begin at 8:30 p.m. EDT on NASA Television and the agency's website. 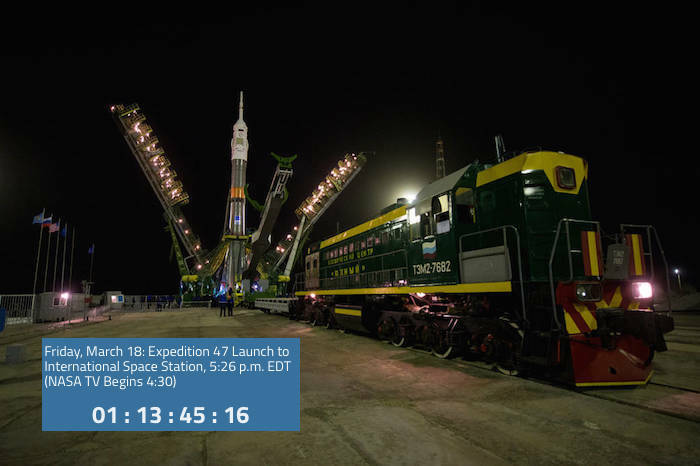 NASA astronaut Kate Rubins, cosmonaut Anatoly Ivanishin of the Russian space agency Roscosmos, and astronaut Takuya Onishi of the Japan Aerospace Exploration Agency will launch at 9:36 p.m. (7:36 a.m. Baikonur time, July 7) from the Baikonur Cosmodrome in Kazakhstan. 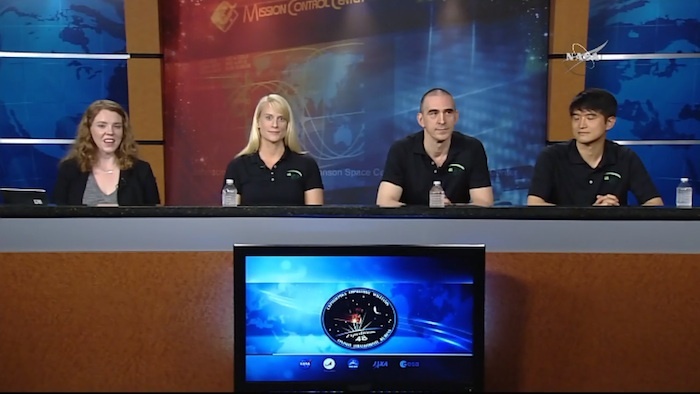 All three will spend approximately four months on the orbital complex, returning to Earth in October. The trio will travel in an upgraded Soyuz spacecraft, testing modified systems for two days – and 34 Earth orbits – before docking to the space station’s Rassvet module at 12:12 a.m. Saturday, July 9. NASA TV coverage of docking will begin at 11:30 p.m. Friday, July 8. 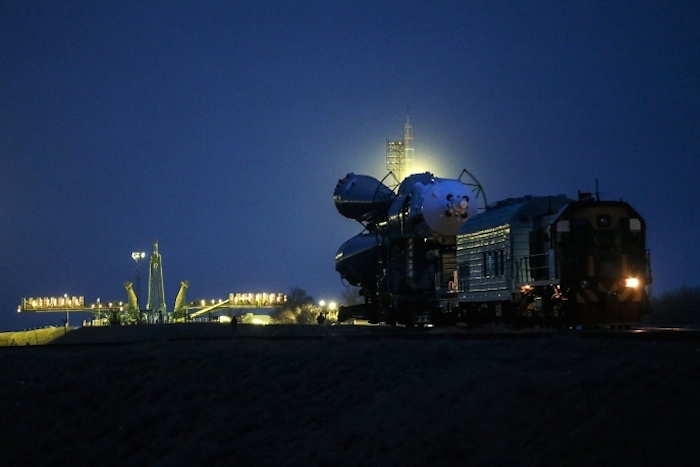 Hatches between the Soyuz and station will be opened about 2:50 a.m. Saturday, when the newly arrived crew will be greeted by Expedition 48 Commander Jeff Williams of NASA and Flight Engineers Oleg Skripochka and Alexey Ovchinin of Roscosmos. NASA TV coverage of hatch opening and welcoming ceremonies will begin at 2:30 a.m. Together, the Expedition 48 crew members will continue the several hundred experiments in biology, biotechnology, physical science and Earth science currently under way and scheduled to take place aboard humanity’s only orbiting laboratory. The Soyuz-FG carrier rocket with the Soyuz MS manned spacecraft, the first in a new series, is installed on the launch pad of the Baikonur Cosmodrome (Kazakhstan), the press service of the Russian State Space Corporation Roscosmos told TASS on Monday. 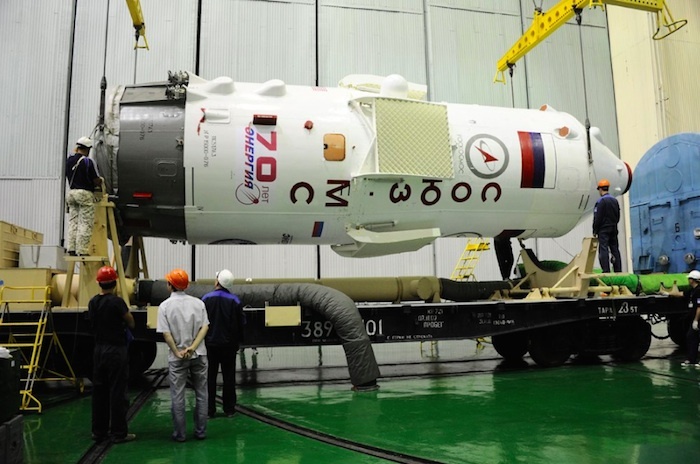 "In accordance with the decision of the state commission, the Soyuz-FG carrier rocket with the Soyuz MS transport manned spacecraft has been rolled out from the assembly and testing facility to the launch pad," the Roscosmos source said. The state commission is planned to meet on July 6 to approve on the results of the training of cosmonauts and astronauts the main crew of the next mission to the International Space Station (ISS). The blastoff of the Soyuz-FG carrier rocket with the Soyuz MS transport manned spacecraft is scheduled for 04:36 am, Moscow time on July 7. The international ISS crew trio - Commander Anatoli Ivanishin of Russia’s Roscosmos and Flight Engineers - Japanese astronaut Takuya Onishi and NASA astronaut Kate Rubins - finished their last training operations at the Baikonur Cosmodrome and are now having a rest enjoying ahead of their planned liftoff on Thursday. Soyuz MS introduces a number of systems upgrades on the trusted Russian spacecraft, primarily focused on the vehicle’s navigation, control and communications system. The modified systems were tested in an operational environment aboard a pair of Progress cargo missions starting in December 2015 to fully check out all new components in space before committing to a crewed flight. The MS modification replaces the old Kvant radio system of Soyuz with a Unified Command and Telemetry System and the new communications system enables Soyuz to use the Luch data relay satellites to keep in contact with mission control for the majority of its treks around the planet. The Soyuz MS-01 spacecraft service structure is put into place after the rocket rolled out by train to the launch pad at the Baikonur Cosmodrome, Kazakhstan, Monday, July 4, 2016. 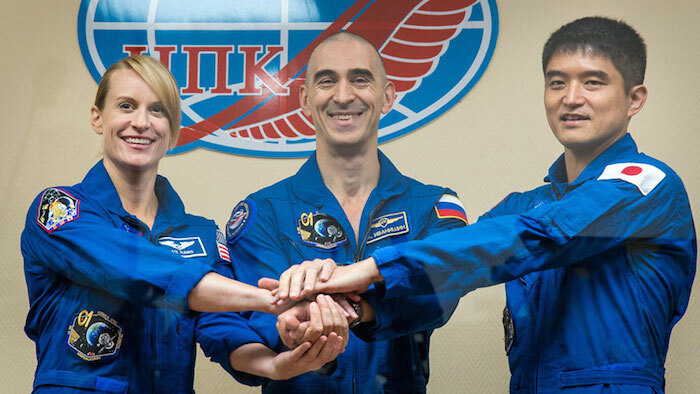 NASA astronaut Kate Rubins, cosmonaut Anatoly Ivanishin of the Russian space agency Roscosmos, and astronaut Takuya Onishi of the Japan Aerospace Exploration Agency (JAXA) will launch from the Baikonur Cosmodrome in Kazakhstan the morning of July 7, Kazakh time (July 6 Eastern time.) All three will spend approximately four months on the orbital complex, returning to Earth in October. A retired Russian Air Force fighter pilot, a former Boeing 767 copilot and a civilian microbiologist who describes herself as a “former virus hunter” will launch from the Baikonur Cosmodrome in Kazakhstan at 7:36 a.m. local time on Thursday, 7 July (9:36 p.m. EDT on Wednesday, 6 July), bound for almost four months aboard the International Space Station (ISS). Russia’s Anatoli Ivanishin, Japan’s Takuya Onishi and NASA astronaut Kate Rubins will fly the maiden voyage of the new “Soyuz-MS” spacecraft and, as such, will embark on a standard two-day rendezvous profile, arriving at the orbital outpost late Thursday. The trio will form the second half of Expedition 48, under the command of Jeff Williams, then rotate into the “core” of Expedition 49, through their return to Earth in late October. Forty-seven-year-old Anatoli Ivanishin wrapped up two decades of service in the Russian Air Force when he retired from active military duty in 2012, shortly after his first space mission. Born in Irkutsk on the banks of the Angara River and one of Siberia’s largest cities, he dreamed of aviation from childhood and made his first parachute jump at the age of 14. His first attempt in 1986 to enter the Chernigov Higher Military Aviation School for Pilots was unsuccessful—by his own admission he was “not a good student”—and Ivanishin completed a year at Irkutsk Polytechnic Institute before a second attempt in 1987. This time, he succeeded and graduated from Chernigov with a coveted gold medal in 1991. Within the Russian Air Force, Ivanishin flew the Mikoyan MiG-29 and its larger cousin, the Sukhoi Su-27, as a fighter pilot in the Voronezh and Karelia regions, as well as cementing his parachuting credentials. 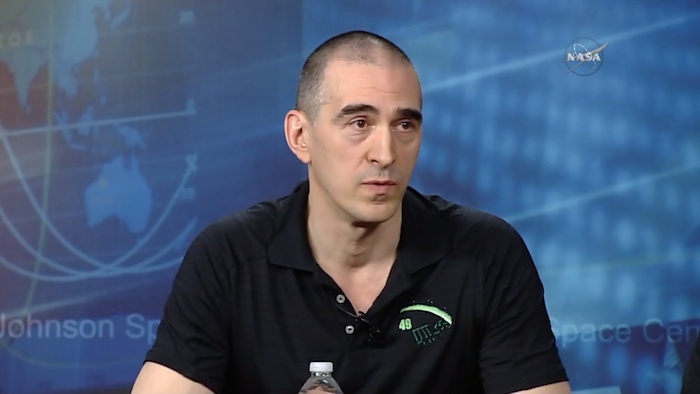 In 2003, he graduated in economics, statistics and information theory from Moscow State University and in May of that same year was selected as a cosmonaut candidate. After two years of training and evaluation, Ivanishin became a test-cosmonaut and initially served in 2010-2011 on the Soyuz TMA-20M and Soyuz TMA-21M backup crews, before rotating into the prime crew for Soyuz TMA-22M. He launched on his first space mission on 14 November 2011, alongside Russian cosmonaut Anton Shkaplerov and NASA’s Dan Burbank. The three men spent 5.5 months aboard the ISS, initially as the second half of Expedition 29 and later as the core of Expedition 30. Upon his return to Earth on 27 April 2012, Ivanishin had accrued more than 165 days in space and 2,580 orbits of the Home Planet. Commanding the Soyuz-MS tomorrow, Ivanishin will occupy the center seat aboard the first flight of the fourth generation of this historic spacecraft, whose heritage dates back to the mid-1960s. Seated to his left side will be 41-year-old Takuya Onishi, Japan’s 11th astronaut, who will be embarking on the first spaceflight of his career. Born in the Nerima ward of Tokyo, he studied aeronautical and space engineering at the capital’s university, graduating in 1998. Onishi joined All Nippon Airways, Ltd. (ANA) that same year, initially working within the passenger service department at Tokyo’s Haneda Airport as a check-in agent, before beginning dedicated flight training. Two years were spent on basic instruction in Bakersfield, Calif., followed by a year of advanced training in Tokyo. In October 2003, Onishi became a copilot for ANA’s Boeing 767 fleet and flew both domestic and international routes over the next six years. 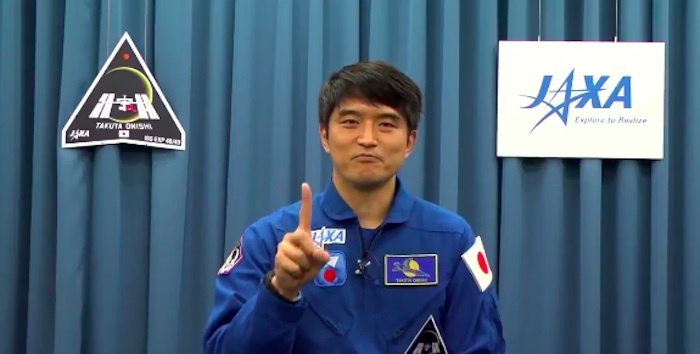 He was selected by the Japan Aerospace Exploration Agency (JAXA) as part of a group of new astronauts—alongside Kimiya Yui and Norishige Kanai—in February 2009. He retired from ANA and underwent early training at the Tsukuba Space Center in Japan. Onishi subsequently moved to the Johnson Space Center (JSC) in Houston, Texas, to begin training alongside NASA’s 20th group of astronaut candidates, who were selected in June 2009. One of his fellow “Ascans” was Kate Rubins. Born in Farmington, Conn., Rubins grew up wanting to be “in order, an astronaut, a geologist and a biologist”. Her initial aspiration in achieving the primary goal was to become a fighter pilot, but she was introduced to public health prevention of HIV in high school and attending a DNA conference carried her career in a somewhat different direction. “I became fascinated with molecular biology and viruses,” recalled the now 37-year-old Rubins, “and have been going along that path for the last 15 years.” She received her degree in molecular biology from the University of California at San Diego and entered the Infectious Diseases Laboratory at La Jolla’s Salk Institute for Biological Studies to analyze HIV integration mechanisms. During this period, Rubins earned her PhD in cancer biology from Stanford University and worked with the U.S. Army and the Centers for Disease Control and Prevention to develop the first model of smallpox infection. She later served as a principal investigator at the Whitehead Institute for Biomedical Research at MIT in Cambridge, Mass., leading a team to focus on viral diseases in Central and West Africa. Her work included the genome sequencing of the Ebola and Marburg filoviruses and Lassa Fever, as well as joint work to develop possible therapies. A scuba diver and triathlon competitor, Rubins is also a keen aviator and parachutist. Ivanishin, Onishi and Rubins came together as a crew in the late spring of 2014, although JAXA had announced the selection of its astronaut the previous November. 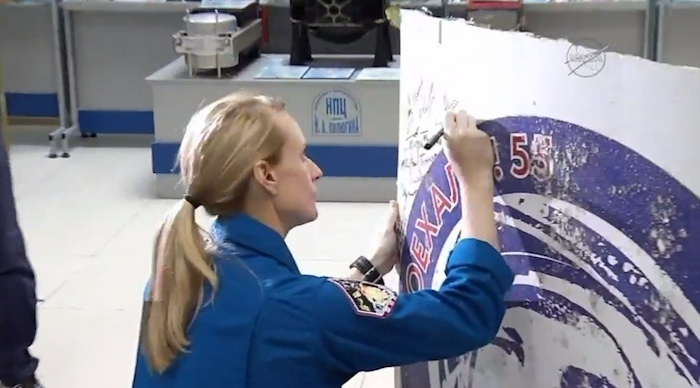 Ivanishin’s name was attached to the mission in early 2014 and Rubins began her formal training at the Gagarin Cosmonauts Training Center (GCTC) at Star City, on the forested outskirts of Moscow, in June. 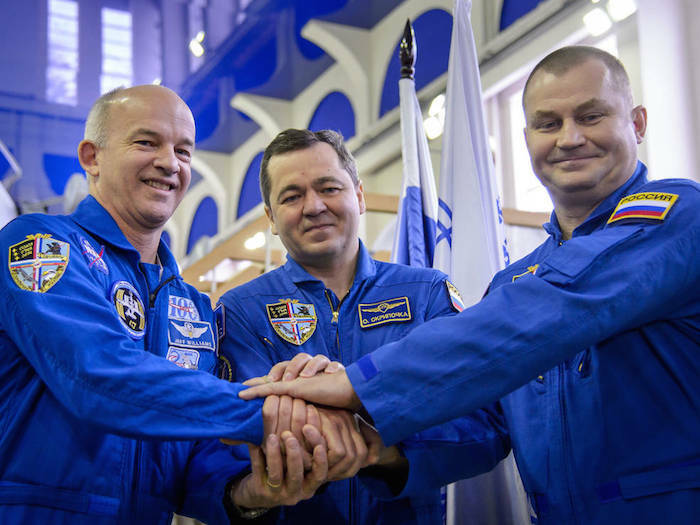 The trio was announced by NASA in February 2015 and initially served as backups to Yuri Malenchenko, Tim Kopra and Tim Peake for Soyuz TMA-19M, before rotating into the prime crew assignment for Soyuz MS-01. As outlined previously by AmericaSpace, the fourth-generation Soyuz-MS is equipped with higher-efficiency solar arrays, better propulsion system redundancy, the new “Kurs-NA” (“Course”) rendezvous hardware, a lighter flight computer and improved telemetry, control and autonomous navigation capabilities. It was originally planned to make its debut in March 2016, ferrying Jeff Williams and his Russian crewmates Alexei Ovchinin and Oleg Skripochka into orbit, but could not be readied in time. As a result, Williams’ crew was switched onto Soyuz TMA-20M—the final outing of the older-specification variant of the spacecraft—and Ivanishin’s crew was moved onto Soyuz MS-01. Many of the systems for the new Soyuz have been extensively tested aboard the new Progress-MS cargo ship, whose maiden voyage launched in December 2015 and was completed last weekend. Since this is the maiden voyage of Soyuz-MS, Ivanishin, Onishi and Rubins will adopt a “standard” two-day rendezvous profile to reach the ISS, in contrast to the six-hour and four-orbit “fast rendezvous” typically followed by incoming crews since March 2013. “The Russian flight control team will test upgraded command and telemetry system, upgraded approach and attitude-control thrusters, omni-directional antennas, a single Kurs automated rendezvous antenna, additional redundant electrical motors for the docking assembly and the efficiency of the solar arrays” during the extended approach regime, according to NASA’s Rob Navias. The new command and telemetry system, in particular, will enable radio communications coverage for up to 70 percent of each orbit, via Russia’s Luch-5 relay satellite system. As it presently stands, their mission may turn out to be the shortest ISS increment in almost seven years. 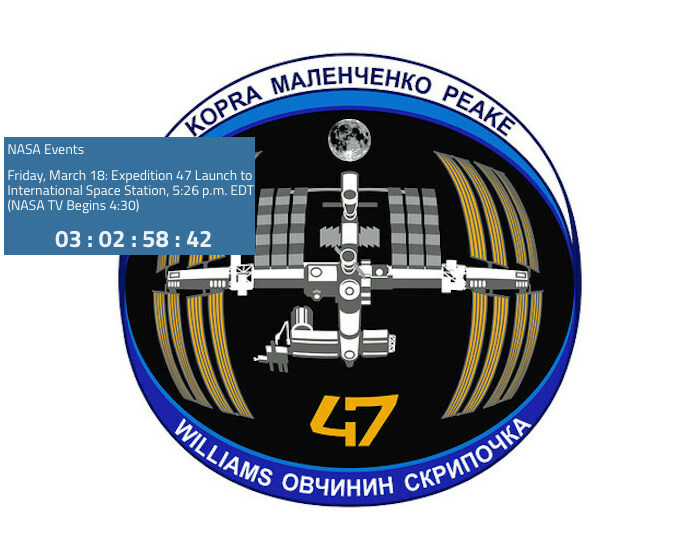 Originally scheduled to run from May through late October, the previous increment of Expedition 47 was extended by a month until early June and subsequently by two additional weeks, finally returning to Earth on 18 June. 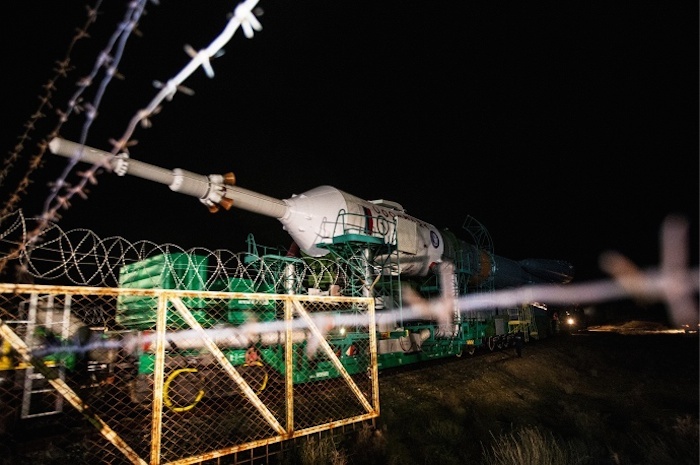 This led to a corresponding move of the Soyuz MS-01 launch to 24 June. 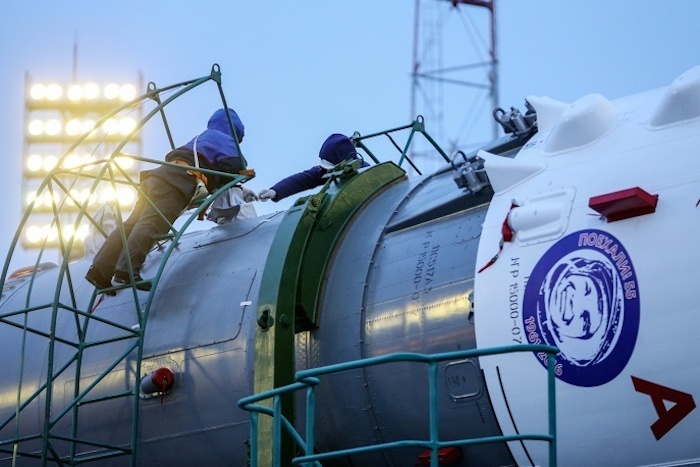 In the meantime, the spacecraft was put through leak checks in the vacuum chamber at Baikonur in the second half of May, before being transferred to Site 254 for further inspections. However, the requirement to perform additional software tests prompted an additional delay of two weeks to the night of 6/7 July, but the targeted landing date of 30 October remained unchanged. 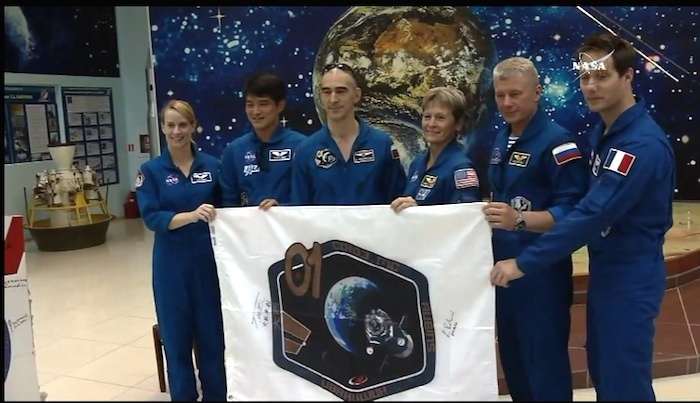 This will produce a total mission duration of 116 days for Ivanishin, Onishi and Rubins, marking the shortest increment to the ISS since NASA astronaut Nicole Stott’s 90-day stay during Expedition 20/21 in the fall of 2009. That said, last year’s Soyuz TMA-17M mission—whose own launch had met with extensive delay—was extended by several weeks beyond its original landing date. It remains to be seen if the Soyuz MS-01 flight will be similarly extended whilst in orbit. 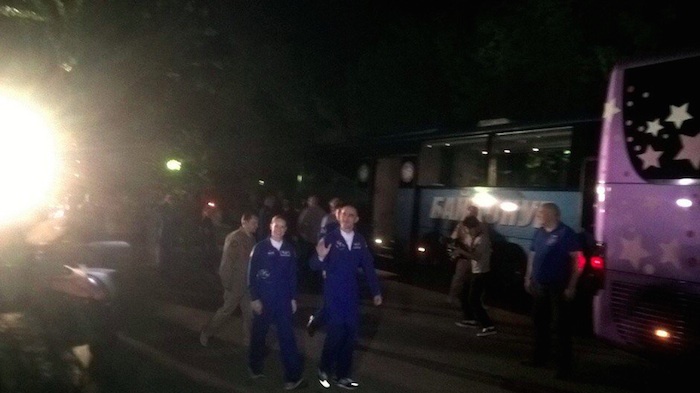 Ivanishin, Onishi and Rubins and their backup crew of Russian cosmonaut Oleg Novitsky, France’s Thomas Pesquet and former NASA Chief Astronaut Peggy Whitson flew from Star City to Baikonur on 24 June to enter their final days of pre-flight preparations. In parallel, Soyuz MS-01 was loaded with propellants and compressed gases and was encapsulated within its payload fairing, ahead of integration atop the Soyuz-FG launch vehicle on Sunday, 3 July. A direct descendent of the R-7 Intercontinental Ballistic Missile (ICBM), the Soyuz-FG comprises a central “core” and four tapering, strap-on boosters, fueled by liquid oxygen and a highly refined form of rocket-grade kerosene, known as “RP-1”. “Standing under a 300-ton rocket,” tweeted Pesquet on Sunday, sharing an image of himself, Novitsky and Whitson. “What could possibly go wrong?” Early on Monday morning, the booster was rolled horizontally from the assembly building to Site 1/5—the famed “Gagarin’s Start”—where it was raised to a vertical height of 162.4 feet (49.5 meters). 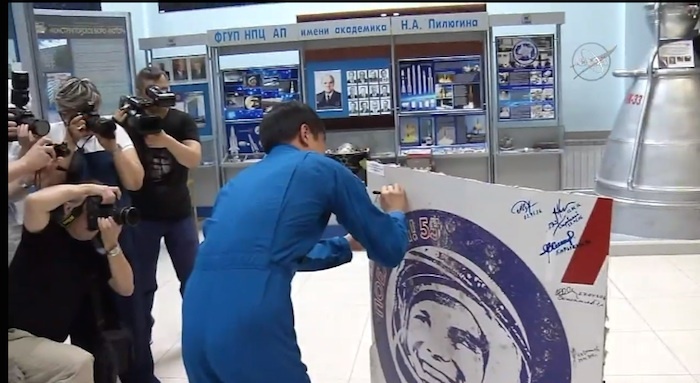 Emblazoned on the side of the booster was the number “70”, representing this year’s 70th anniversary of the foundation of RSC Energia, Russia’s principal developer of human spaceflight systems. The prime and backup crews will be awakened tomorrow about 8.5 hours before T-0. They will shower and be disinfected, after which microbial samples will be taken in support of scientific and biomedical experiments. A traditional blessing by a Russian Orthodox priest will be followed by the signing of their Cosmonaut Hotel bedroom doors and departure for Baikonur’s Site 254, where they will don their Sokol (“Falcon”) launch and entry suits. This will also give them the opportunity—from behind glass screens—to bid farewell to their friends and families. 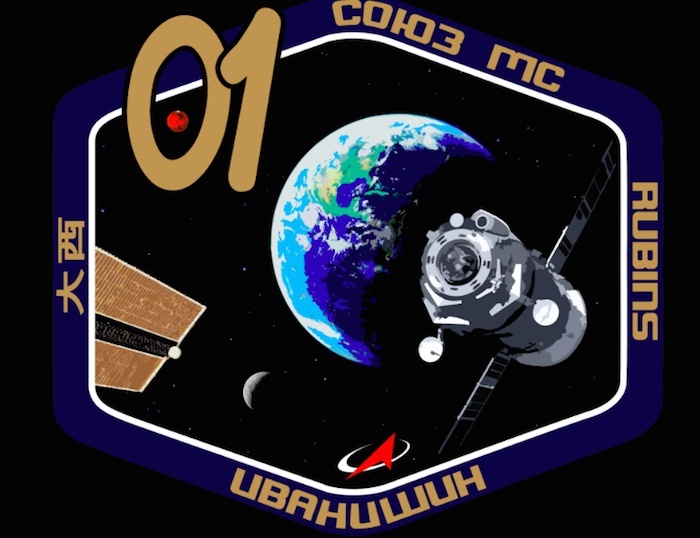 At Site 1/5, the crew will be inserted into Soyuz MS-01, with Ivanishin assuming the center seat, flanked by Onishi to his left and Rubins to his right. Aboard the spacecraft, it has become traditional for crews to carry a “gravity indicator” to notify them of the onset of weightlessness. Typically, this is provided by one of the crew members’ children and for tomorrow’s mission it will be a soft toy bear named “Rilakkuma”. It has been provided by Onishi’s daughter. According to his manufacturer, the Japanese stationery company San-X, Rilakkuma mysteriously appeared in the apartment of a secretary named Kaoru and decided to take up residence there. On 6/7 July 2016, Rilakkuma will instead take up residence in the decidedly more cramped “apartment” of Soyuz MS-01, where he will take up residence for the next several months. Launch is targeted for 7:36 a.m. local time on Thursday, 7 July (9:36 p.m. EDT on Wednesday, 6 July), after which the Soyuz-FG will rise into the night sky under the combined impulse of the RD-108 core engine and the four RD-107 engines of its strap-on boosters. The four boosters will be jettisoned after two minutes, with the RD-108 continuing the push upwards for the remainder of first-stage flight. The final stage of the Soyuz-FG will then boost Ivanishin, Onishi and Rubins to 13,420 mph (21,600 km/h) and by the time it separates from the stack at nine minutes after launch the crew will have attained a preliminary orbit of 125 x 160 miles (200 x 260 km), inclined 51.6 degrees to the equator. At this time, Onishi and Rubins will become the 545th and 546th humans to enter space. Their two-day flight profile will draw them inexorably closer to the ISS and they are targeted to dock at the Earth-facing (or “nadir”) port of the Rassvet module. This is the same port recently vacated by Malenchenko, Kopra and Peake aboard Soyuz TMA-19M. 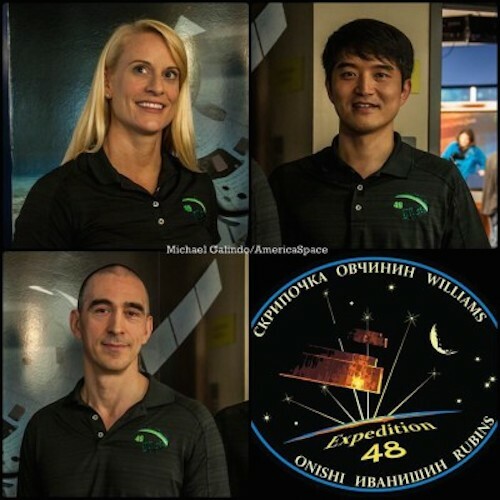 Ivanishin, Onishi and Rubins will have little time to become acclimated to their new environs, for a busy period of space station operations lies ahead. Current plans call for SpaceX’s CRS-9 Dragon—conducted under the language of the Commercial Resupply Services contract with NASA—and Russia’s Progress MS-03 to launch in the mid-July timeframe, followed by Orbital ATK’s OA-5 Cygnus in mid-August. The arrival of the SpaceX Dragon will also bring the first Boeing-built International Docking Adapter (IDA), which is due to be installed onto the forward end of the Harmony node during an EVA by Williams and Rubins “around the third week of August”. In comments provided to AmericaSpace, Rob Navias noted that specific details for the EVA, including “get-ahead” tasks, are currently being refined. 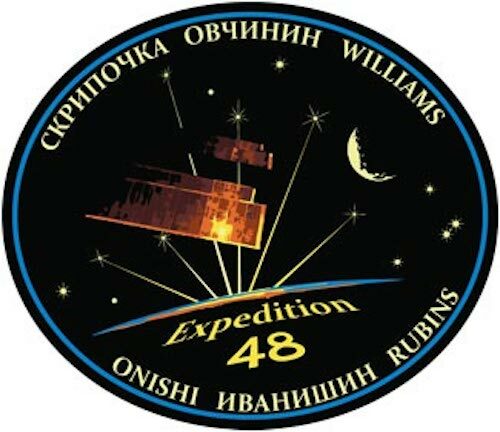 Williams, Ovchinin and Skripochka are currently scheduled to return to Earth on 7 September, wrapping up almost six months in orbit, after which Ivanishin will assume command and lead the new Expedition 49 until the end of his own mission. 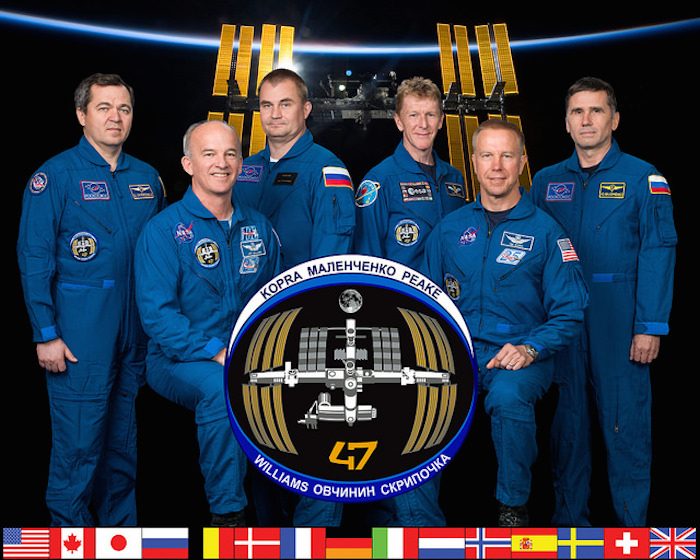 Later in September, the station will welcome NASA astronaut Shane Kimbrough and his Russian crewmates Sergei Ryzhikov and Andrei Borisenko, thereby bringing Expedition 49 up to its full, six-person strength. Flying aboard Soyuz MS-02, Kimbrough, Ryzhikov and Borisenko will also follow a two-day rendezvous, although it remains undecided if subsequent crews will do the same or revert to the shorter approach profile. 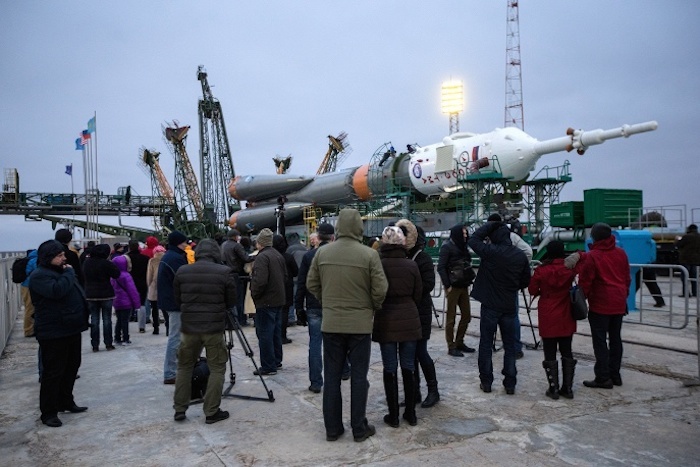 At the Baikonur Cosmodrome in Kazakhstan, NASA astronaut Kate Rubins, cosmonaut Anatoly Ivanishin of the Russian space agency Roscosmos, and astronaut Takuya Onishi of the Japan Aerospace Exploration Agency (JAXA) are preparing for launch to the International Space Station. 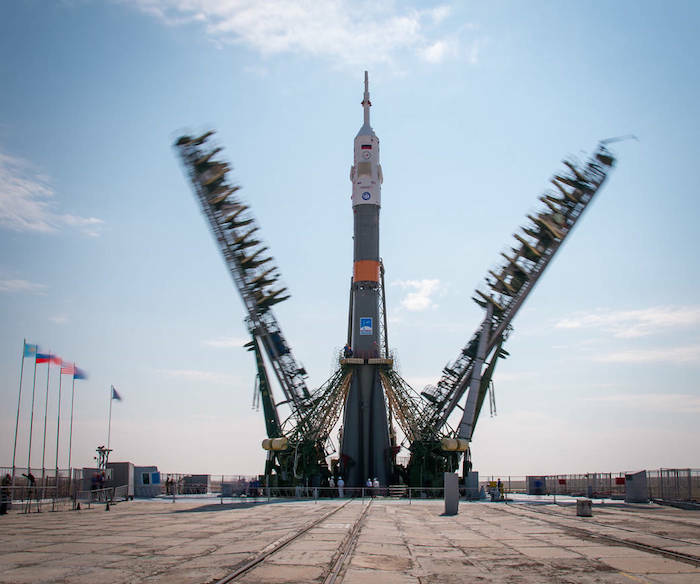 They are scheduled to lift off in a Soyuz spacecraft today at 9:36 p.m. EDT (7:36 a.m. Baikonur time, July 7). All three will spend approximately four months on the orbital complex, returning to Earth in October. The three will join Expedition 48 Commander Jeff Williams of NASA and Flight Engineers Oleg Skripochka and Alexey Ovchinin of Roscosmos. The Expedition 48 crew members will spend four months contributing to more than 250 experiments in fields such as biology, Earth science, human research, physical sciences and technology development. NASA TV coverage will begin at 11:30 p.m. Friday, July 8 for docking to the space station’s Rassvet module at 12:12 a.m. Saturday, July 9. Hatches are scheduled to open about 2:50 a.m. Saturday, July 9, with NASA TV coverage resuming at 2:30 a.m.